EZ25COIN will issue a token called EZC. EZ25COIN is an experimental new digital currency that enables instant payments to anyone, anywhere in the world. EZ25COIN uses peer-to-peer technology to operate with no central authority: managing transactions and issuing money are carried out collectively by the network. 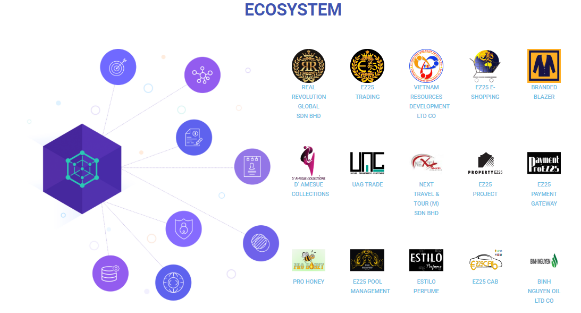 EZ25COIN is also the name of the open source software which enables the use of this currency. EZ25COIN will be available to purchase during the Token Sale (ICO)campaign that will take place beginning in15/10/2018. Get free 30 EZC (~ $15) to max 15,000 participants. Participate in our exclusive program and complete all required tasks to receive free Ez25coin (EZC). You can also invite unlimited friends and get 10 EZC (~ $5) for each referral. You will receive 30 EZC (~ $15 ). Don’t forget invite friends and get 10 EZC (~ $5) for each referral.